After two long years of settling into the comfortable routine of home-life, we were incredibly eager to get out and explore again. A competitive and expensive rental market coupled with commitments to jobs and school meant that a long meandering excursion was out of the question. A vacation then, a holiday — a getaway. We were quite desperate after a notably cold and grey winter that showed no signs of letting up. Our noses turned at the prospect of an all-inclusive style vacation, our hearts tugged us to pursue an epic adventure, while our heads told us to take whatever we can get. Through compromise our plan was formed. Tickets were booked to the affordable yet tropical Guatemala, while we sought to create an itinerary that allowed for as much adventure as possible with a healthy amount of time devoted to relaxing— after all we reasoned, it was only 3 weeks, we needed some indulgences. Thus our trip developed a bit of an identity crisis: part adventure, part vacation. Through the eyes of traveler’s we began to examine just what it is we seek as tourists and how easily the lines between the two are crossed. We shelved our winter clothes, bought matching cheap sunglasses and eagerly said "see ya" to the grey skies of Vancouver. Two uneventful flights and one short layover in Texas at possibly the sleaziest motel we will ever stay in, we landed in Guatemala city bleary eyed and starving. Immediately we regretted not brushing up on our spanish (again). However, just a couple broken spanish-english-hand gestured conversations later we had secured an affordable ride to Antigua and off we went, the densesly populated capital city quickly faded to a spot in the distance. Antigua is an absolute jewel of a city. 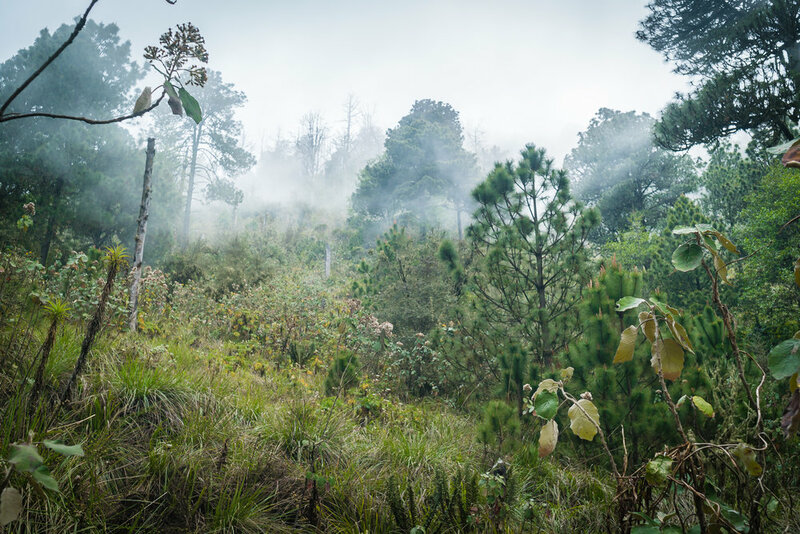 Bordered by towering volcanoes and large open swathes of land, smattered with coffee plantations and indigenous communities rich with Mayan traditions. Antigua draws from its surroundings, giving the city a spirited and culturally dynamic energy. The city is full of historical reminders: colonial era buildings line the cobblestone streets. While many official buildings have been restored to recall their former glory, others have left some the ware and tear visible with a charming splash of brightly coloured paint. There is an overall aesthetic to the city that is delightful, quirky, at times grand and undeniably cool. 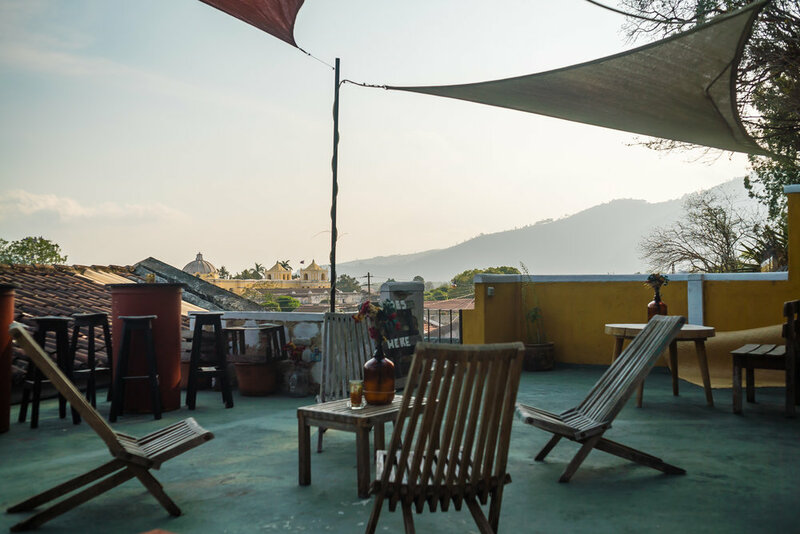 We spent our time in Antigua indulging in incredible Guatemalan coffee, sampling fantastic food and getting lost in the Inception-esque rooms within a courtyard within a building surrounded by another building. While the former capital city has much to offer in terms of beauty, culture, food, drink and goods, it is hard not to notice that Antigua has readily redefined itself as a tourist city. No mistake, we adored every minute we spent there. Yet as we sat atop a rooftop bar drinking locally grown cold brew – it was hard not to feel slightly catered to. While the traveler’s in us yearned for an “authentic experience”, the tourist’s in us wondered if we would we even enjoy the place as much had it not been tended to and cultivated to accommodate tourism? · Airbnb: we stayed with a lovely woman named Evelyn who was a true host in every sense of the word. · Santa Semana: we arrived in Antigua during the wind up to Easter, an exceptionally grand holiday in Central and South America in comparison to North America. 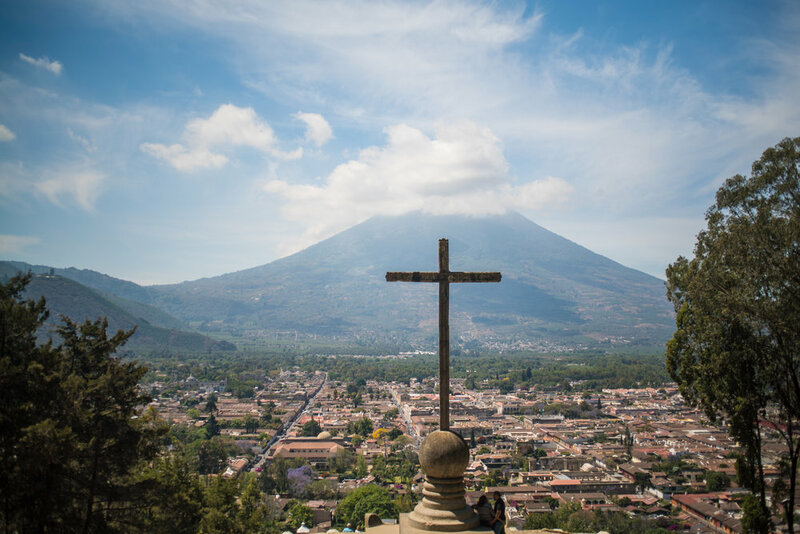 Antigua plays an especially large role in the celebrations and visitors from all over Guatemala will migrate to the city for Easter holidays. · Roots Café: where we returned multiple times to munch on some of the best salads we’ve ever had. 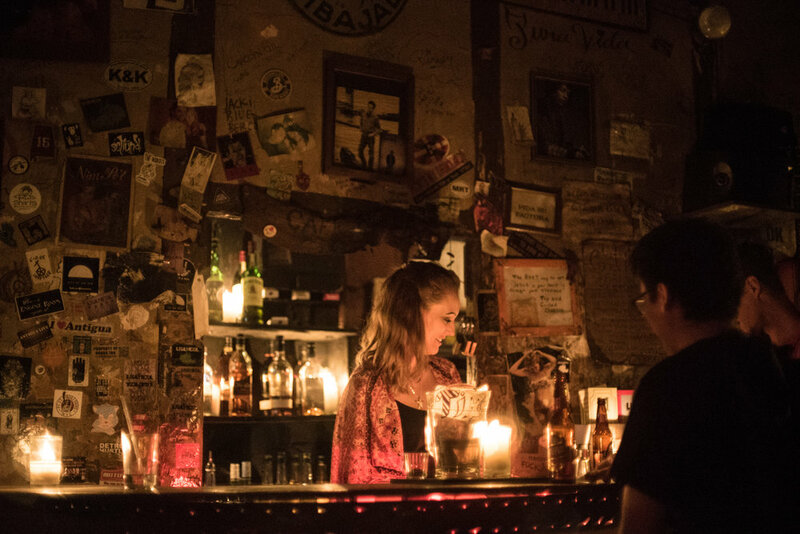 · Café No Se: where we got to cop some of the cool and mysterious energy of the bar while sipping on local beer. Remember that time we were on a volcano in Chile ( Osorno) and then the volcano beside us (Calbuco) unexpectedly erupted for the first time in 40 years? Yeah, we do too. While we were in Antigua we decided to test our luck again and climb up to the top of Volcano Acatenango and watch the neighboring Volcano Fuego erupt, except this time on purpose. Acatenango towers at a healthy 3,976 meters above sea level and has remained relatively dormant in the last century, barring a small eruption occurring in 1972. Across from Acatenango is the appropriately named Volcano Fuego. Fuego has been almost constantly active at a low level since the Spanish conquests in the Americas. 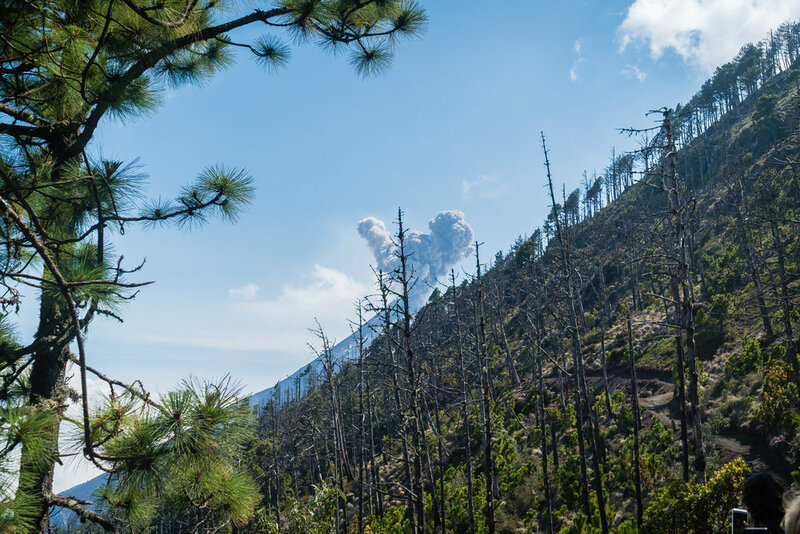 While Fuego is unsafe to climb, volcano enthusiast and hikers alike ascend Acatenango to watch Fuego erupt from a safe distance. The hike up was incredibly challenging and frustrating. The terrain was primarily loose sand and volcanic rock, which meant that every step up would find you sliding back half a step. Slow, slow upwards progress dragged on for hours, featuring plenty of grumbling and moaning from everyone in our group. However the hustle to the top was infinitely worth the view that greeted us at base camp. 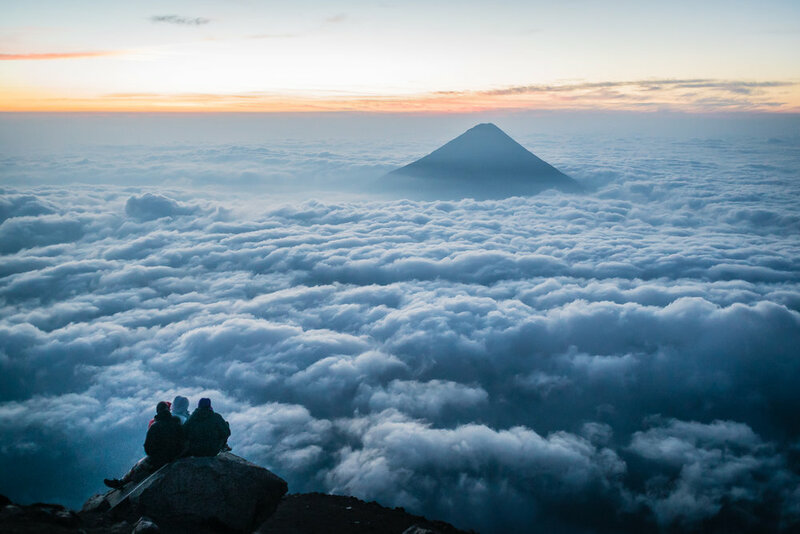 Volcano Fuego ushered us in with continual puffs of smoke, while Volcano Agua – the iconic cone seen from Antigua surfaced in the distance, swimming in a sea of clouds. After a short sleep plagued by discomfort and restlessness due to the high altitude our guide woke us just shy of 4 am. We began our morning with a steep and seemingly endless climb in the dark. Just as things were beginning to feel incredibly hard and frustrating, Volcano Fuego treated us with a large explosion and at last in the dark the neon hot lava was visible- a sight that was beyond awe inspiring. · The Hike: really anything that wasn’t slogging away, sweating profusely or gasping for air was a highlight. · The View: the view, the view — oh my god! The view. · Lava: it really is as cool as you imagine. You go mama nature!! 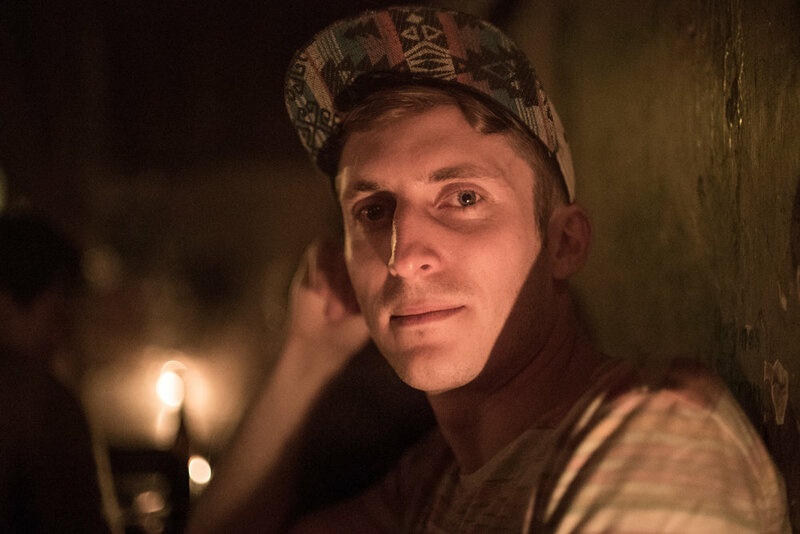 · Campfire Chats: roasting marshmallows with a group of travelers who had never experienced the joy of frying up sugary goodness and learning about the wide variety of maladies that a pint of Guinness can mend. Lake Atitlan. The massive lake is not only the deepest lake in Central America but consistently ranks as one of the most beautiful lakes in the world. A blue jewel, crowned by surrounding volcanoes and towering cliffs dotted with wildflowers. Beyond the physical beauty of the lake, there is also a strong cultural pull. The villages that encase the lakeside are populated by thriving Mayan communities that have a deep spiritual connection to the lake. They say the lake is a vortex: people come for the weekend and stay for a lifetime. We most certainly agree. The intoxicating, slow living pull of the lake, coupled with a very low cost of living has infected many, and a community of eccentric expatriates, self-proclaimed hermits and spiritually inclined travelers have made the lake their home, primarily settling near the towns of San Pedro and San Marcos de Laguna. The resulting hodge-podge of traditional Mayan communities, Spanish speaking Guatemalan towns and long-term gringo communities is at once amusing, alarming and enchanting and you cannot help but get caught up in it yourself. We spent an altogether too short time on the lake, watching the sunrise from the dock at our fabulous lakefront Airbnb, indulging in healthy eats at the hippy-haven San Marcos de Laguna, meeting the most fascinating ex-pats in the small town of Tsunana and marveling at the contrast between the exclusive lakefront eco-resorts and the simplistic huts that the locals lived in. If I were to choose a place from this trip to return to and write about in-depth, it would most definitely be Lake Atitlan. It felt like there were so many stories lurking beneath the surface. There is a mysterious energy to the entire region and once you spend a day and drink the kool-aid it makes total sense that gringos would gravitate and form ultra-spiritual kale communities, or that this body of water would draw together and preserve the traditions of Mayan communities that elsewhere had been ravaged by time and change. There is a lot to discover about the people the live around the lake. What drew each ragtag expat to seek a reclusive life in the hills? What of the strict and at times violent honor code that the locals abide by? What of the simmering tension between the more traditional locals living and working alongside gringos—who no matter how hard they try— have a westernized tendency to be exploitative? From the few days we spent traveling the lakeside towns and chatting to friends and locals we got the sense that there is always more than meets the eye. What I wouldn’t give to be sipping a locally grown coffee, munching on an ethical vegan approved gringo guru treat, while writing about the peoples of Lake Atitlan— every once and a while lifting my gaze to stare at the watery expanse and the volcanoes towering in the distance. · Il Giardino: a vegetarian restaurant in San Marcos that served the best-iced coffee and crepes in a quiet and tranquil garden setting. 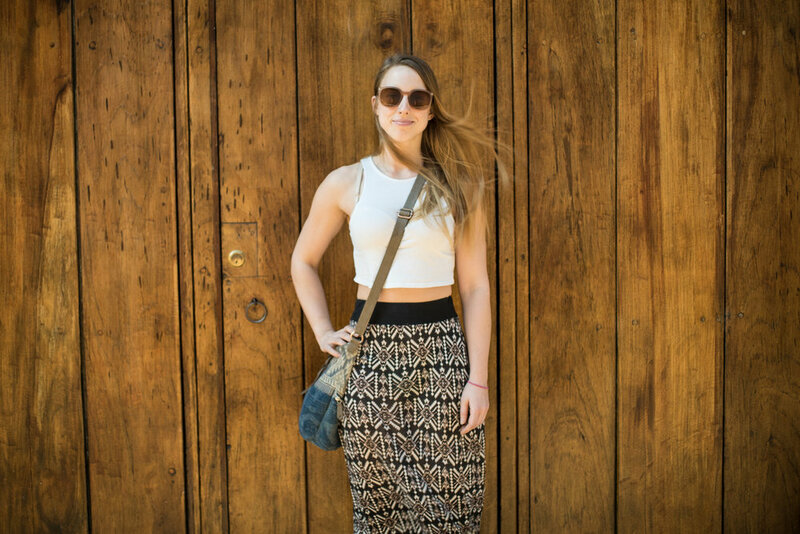 · Yoga: we took a yoga class at La Paz that had us check our egos and soothe our stiff traveler muscles. · Adventuring: we embarked on meandering hike up into the hills of Tsuanana with a friend who was just as taken with the mysterious lake and bursting with stories. · The Food: while we enjoyed a lot of restaurant fare this trip, during our stay on the lake we really appreciated the produce carts and ate the best and freshest avocados and mangos. The indelible cultural mark left by the Mayan peoples is felt across the bottom of Mexico, parts of Belize, Honduras, El Salvador and the entirety of Guatemala. Evidence of an ancient and complex society is apparent in the remnants of their architecture, artifacts and Mayan cultural values that continue to this day. Nowhere is the presence and history of the Mayan peoples more evident than in Guatemala. 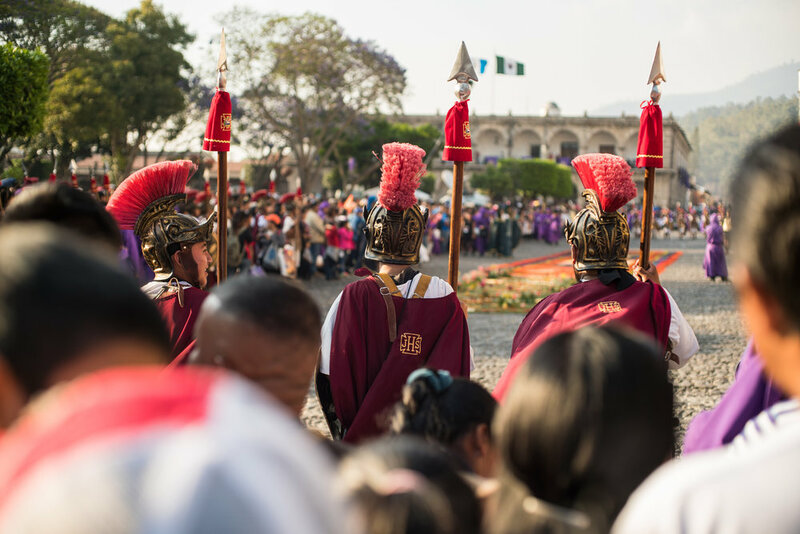 The Mayans who reside in Guatemala now have resisted powerful forces of change from outsiders for hundreds of years, including attempts at religious conversion by Catholic missionaries. The resilient and vibrant spirit of this ancient culture is very visible in the thriving communities steeped in tradition and craft. Nestled in the heart of the jungle, Tikal is one of Guatemala’s most popular tourist hotspots — for good reason. These Mayan ruins are the bones of a massive ancient city: a city that became one of the most long-lasting and powerful kingdoms in Mayan history. While some of the structures date back as far as the 4th century BCE, the community reached the apex of its power between 200-900 AD. Once abandoned, the ancient ruins fell waste to the forces of time and the growth of the jungle, quietly hidden from the world until its discovery in 1850. Parts of Tikal have been excavated and restored through efforts by the Guatemalan government and the University of Pennsylvania. However, most of Tikal— an estimated 60 square kilometers— remains buried, merely hinted at by slopes and mounds protruding from the jungle floor. The tour we booked entailed a 3am wakeup and dark drive into the jungle. Bleary eyed and groggy we ascended the steps of a temple to watch the sun rise over the ruins of Tikal. The sun rose, however the jungle mists refused to dissipate leaving much of Tikal underneath the cover of a misty grey blanket. While I chose to sleep through the sunrise, others opted to listen to the sounds of the jungle coming to life: a tropical cacophony. Despite waking at an ungodly hour (and being denied a colourful sunrise), we were thankful to explore the ruins before the crowds of tourist and mid-day heat descended. We spent a good 5 hours walking through the ancient city. The ruins were incredibly impressive and it was awe inspiring to imagine the sheer size of the community that once thrived here and presided for hundreds and hundreds of years. Moreover, the overgrowth of the Jungle flora made the entire site seem more mysterious, vine-covered mounds that hinted at the former glory of a massive civilization. We stayed in the colourful and charming Flores, a small town located on an island in the middle of Lake Peten Itza. · Monkeys: almost all of Tikal got the chance to listen to the prehistoric sounding screams of an entire family of howler monkeys. · Mayan Temples: how cool is it to see how industrious and impressively architectural former civilizations were?! · Flores: we wish we had spent more time exploring this island in the middle of the lake. · Cool Beans: we ate at this tasty and affordable lakeside eatery for every meal of our entire stay. 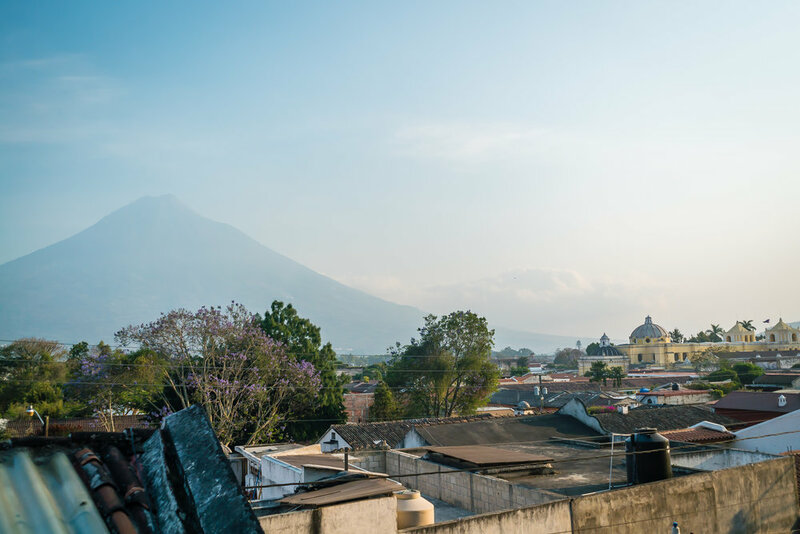 While our stay in Guatemala was far too short, we spent just enough time to grasp that this is a country we'd love to return to: the people, the nature, the food and the vibrant energy all left us hungry for more. This account is but an amuse-bouche when compared to a seven course meal: not enough time spent, places visited, not enough words written or photos snapped but if our efforts to document can give a taste, then we have done our best.